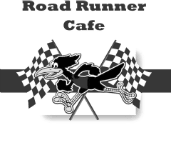 Established 30 years ago, Road Runner Cafe is a local favorite known for its famous "mean gene burger." Now under new ownership, we are ready to serve everyone's favorite comfort food on the road! Off the chain!!!! Burgers, breakfast, Mac n cheese bites. Too good to be true. Awesome food, especially those grilled chops!!!!!!! !